I finally got around to seeing the new Spider-man movie as a result of the need to kill off a few hours during the weekend. I wasn't too thrilled to see another Spider-man reboot after living through the Amazing Spider-man reboot helmed by Andrew Garfield which for the most part wasn't really an improvement over Tobie McGuire's. While Andrew is a decent actor, him playing Peter Parker was a bit of a mismatch, for the most part he was too cool to be Peter Parker. But I still got with the program and liked him anyway, for the most part Amazing Spider-man was cool besides killing off Staci Gwen which was a stupid decision and If not for the massive success of the Marvel Cinematic Universe, I bet they (Fox) wouldn't have rebooted Spider-man again. 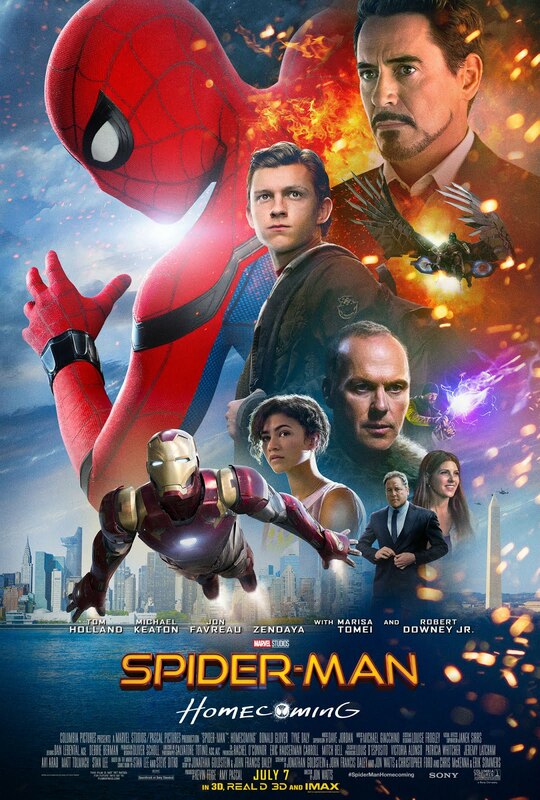 OK.. back to the movie, after seeing the poster below I was kind of expecting to see Tony Stark/Iron Man everywhere. But I must say that screenwriters and directors handled Tony's involvement quite well. Having Tony play the distant mentor to the over eager Peter was really well done. The scene in which he saves Peter using a remote Iron Man suit was a nice touch. Watching the over-eager Peter bumble and stumble his way throughout the movie to eventually becoming a bona-fide hero was a great way of introducing a character in a way that the audience would love. One thing that made me like movie even more besides having the screening room all to myself was that Peter wasn't alone by himself. Pairing him up with the delightful Ned was a nice touch. The casting was dope, the really beautiful Liz, the rather annoying Flash, and Zendaya playing a different breed of MJ made sense. I just can't get over how incredible Marisa Tomei (Aunt May) looks at 53. I have said this so many times to notice it myself but I think Marvel has cracked the formula on how to make a really good audience friendly superhero movie which is basically stuff blowing up, dope fight scenes, jokes all wrapped up in a plot substantial enough to keep the audience captivated but thin enough not to lose them. 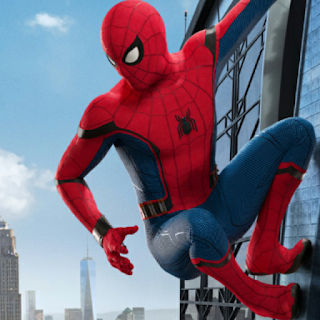 Spider-man: Homecoming is easily the second best Superhero movie I have watched this year behind Wonder Woman (I didn't care much for the Guardians of the Galaxy 2).